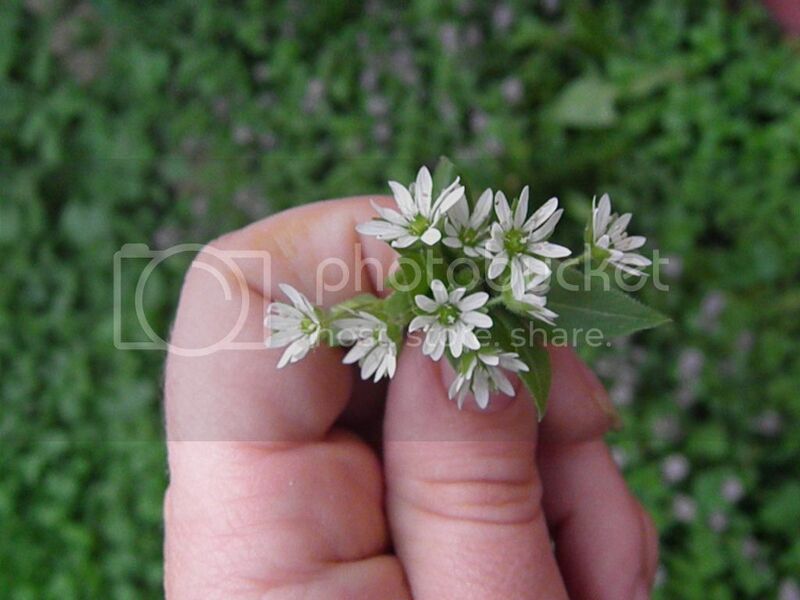 This summer, finger bouquets became my new favorite hobby. As we move into colder weather, I might have to start making leaf and acorn bouquets and then pine needle bouquets. Who knows? Until then, I'm still in love with this simple happiness habit. I ask again, why would you walk around empty-handed, when you can walk around with fragrant flowers in your hand? Duh! Pretty little flowers (don't tell them they're weeds; they don't know that) growing in my backyard lawn. I usually take a walk past some railroad tracks on my lunch break where there is plenty of wild flora to arrange in your fingers. This one made it back to my desk and into a cup of water. Apparently yellow and white varieties are popular in Wisconsin. My whole life's ambition is to make each day a little lovelier. There really are easy things that you can do every single day to brighten your spirits and sprinkle in some special-ness. 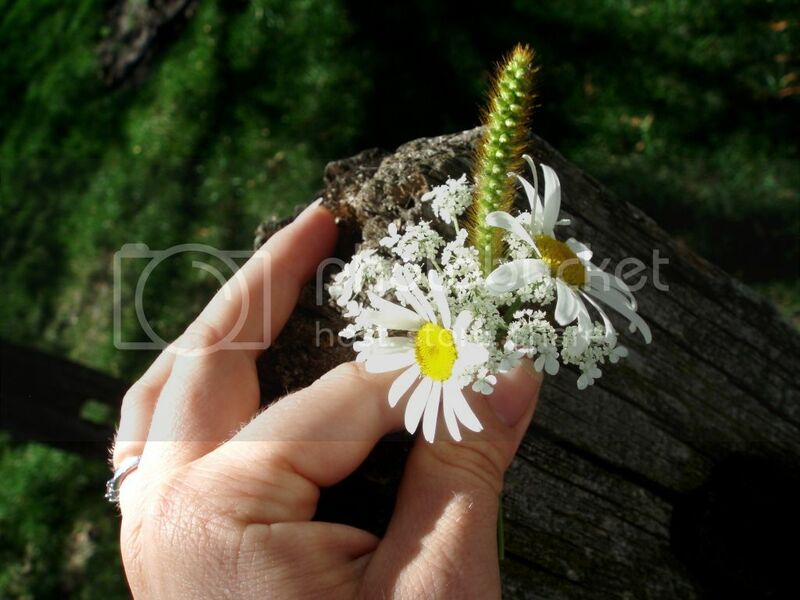 Finger bouquets are one of my favorite ways to gather beauty and visual gold out of the cracks. Flower collecting is a much better habit to be into than crack numbering, don't you agree? 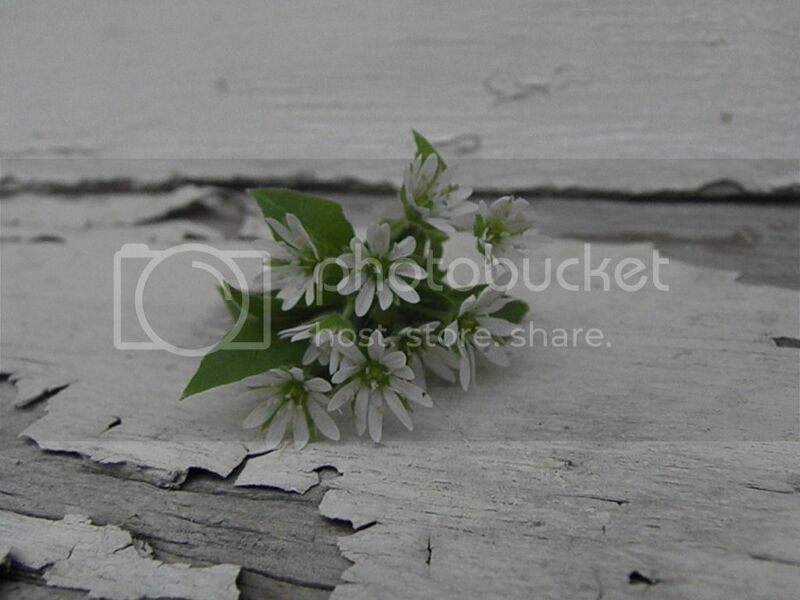 Train your mind to see the flowers, not the junk in the cracks. Cool, huh? You should try it.